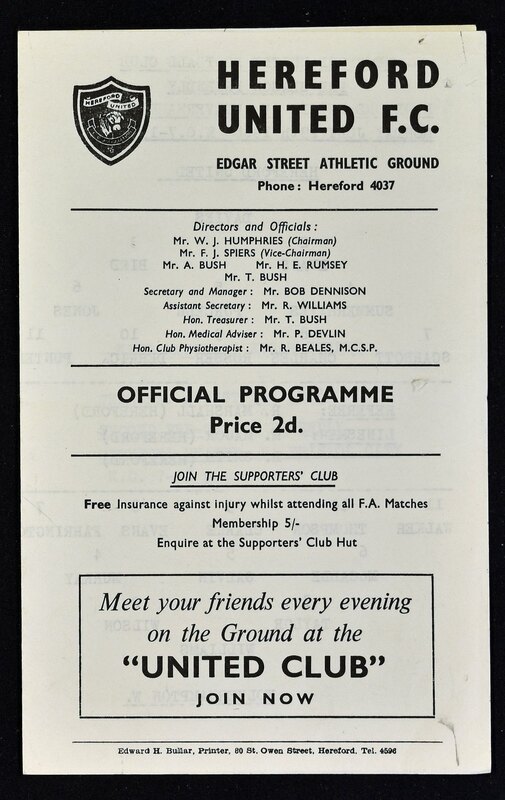 1968/1969 Pre-season friendly match programme Hereford Utd v Wolverhampton Wanderers at Edgar Street 29 July 1968, 4 pager. Slight marks, view to assess. 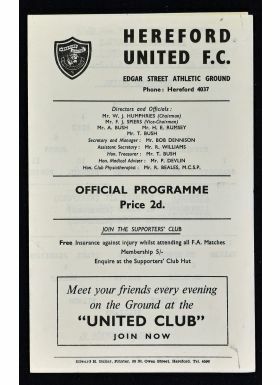 (John Charles for Hereford).